Wolves Summit is not only a conference for startups, but also for investors, entrepreneurs, corporate representatives and SMBs. 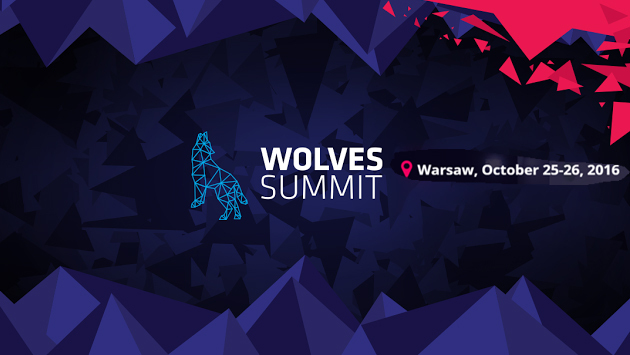 Started in Gdynia in , Wolves Summit is now taking place in Warsaw every year for two days of conferencing and an additional day dedicated to startups and investors. Wolves Summit is where theory meets practice and, aside from the substantive part, everyone can also get involved in various networking activities. In October 2016 it gathered about 2000 participants, including 371 managers, 291 startups and 192 investors from around the world. Péter Szántó, Founder and Product Manager at SpringTab was a speaker in 2016 at one of Eastern Europe’s biggest startup meetings.